Art in Bloom is springing up at the Everhart Museum on April 26 and 27, 2019. Each year, many museums across the United States take part in Art in Bloom and 2019 will be the Everhart’s inaugural event. Art in Bloom is an exciting two-day event where local floral designers’ create their interpretations of the Museum’s art collection through fresh flower arrangements. This year, through a juried process, the following designers have been selected to present their interpretation of paintings on view at the Everhart: POSH Life Floral & Events, Scranton; Central Park Flowers, Olyphant; Mattern’s Floral and Furnishings, Kingston; Monzie’s Floral Designs, Tunkhannock; Artist Susan French, Kingston; B’s Floral Design, Scranton; Petals for Goodness Sake, Clarks Summit; Snapdragon Flower Company, also of Clarks Summit and Beautiful Macabre from Scranton. Catered by POSH at the Scranton Club, the museum will host a preview reception from 6:00 pm – 8:00 pm on Friday, April 26 where guests will enjoy music, food, and cocktails while viewing the designers’ presentations. The flower displays will remain on view through Saturday, April 27, for the Museum’s FREE Community Day which is scheduled from 1:00 pm – 4: 00 pm. Attendees will be able to vote (raffle tickets) for their favorite floral arrangement that best ‘matches’ the inspiring artwork or object. Donations made for the People’s Choice Award will be used by the Museum for participation in the Scranton Area Community Foundation Match Day initiative #2019NEPAMatchDay. That means as you vote for the best arrangement you are helping the Everhart twice, as every dollar vote will be matched by the Everhart Board. Tickets for the preview event on April 26 are $50 for guests and $40 for Museum members. 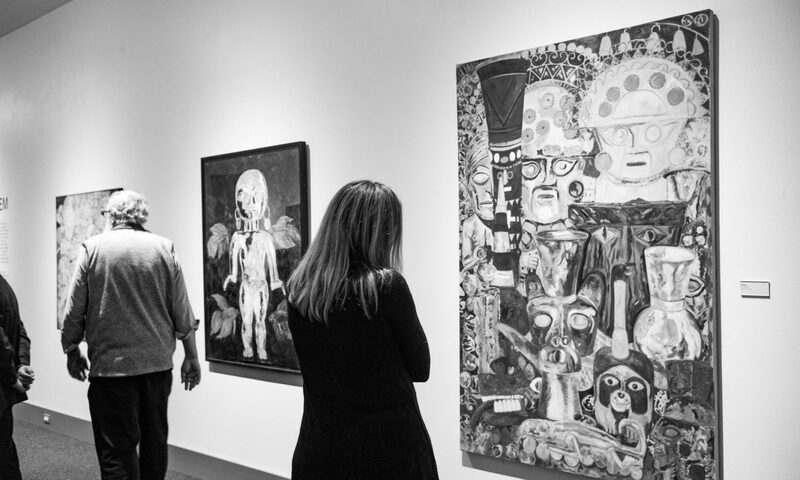 Funds raised through ticket sales support the Everhart’s exhibitions and education programs. Support for the Everhart also enables the Museum to offer free admission days and subsidizes our year-long free admission to veterans, active duty military, and their families. For more information on the Everhart Art in Bloom or NEPA Match Day, please call 570-346-7186 ext. 516.